It’s no secret that the expense of invitations can be significant. 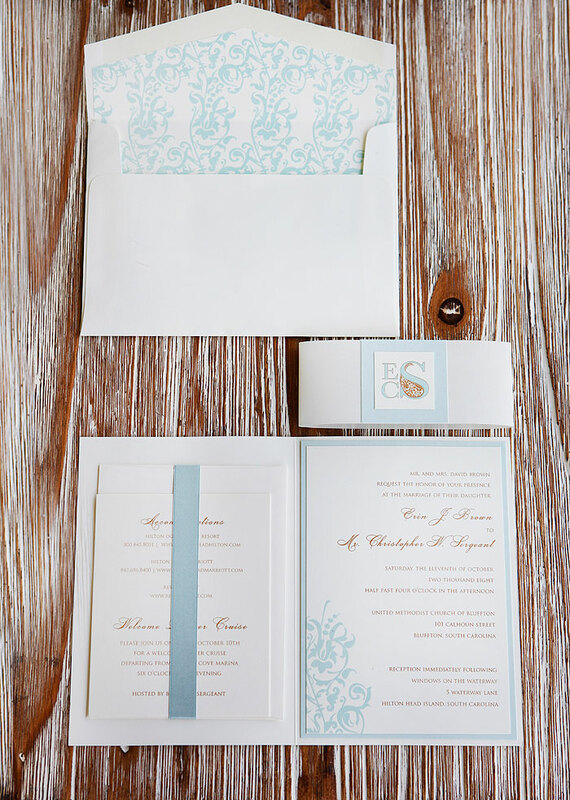 A bride or party host has many alternatives — hiring a professional to design and create the invitations, having a designer create the invitations and assembling them herself, choosing ready-made designs from a catalog, or even printing invitations herself. Your decisions should reflect the amount of time you have to dedicate to this project, balanced against your budget. Consider how important the invitations are to you and what portion of the budget you are willing to allocate to them. 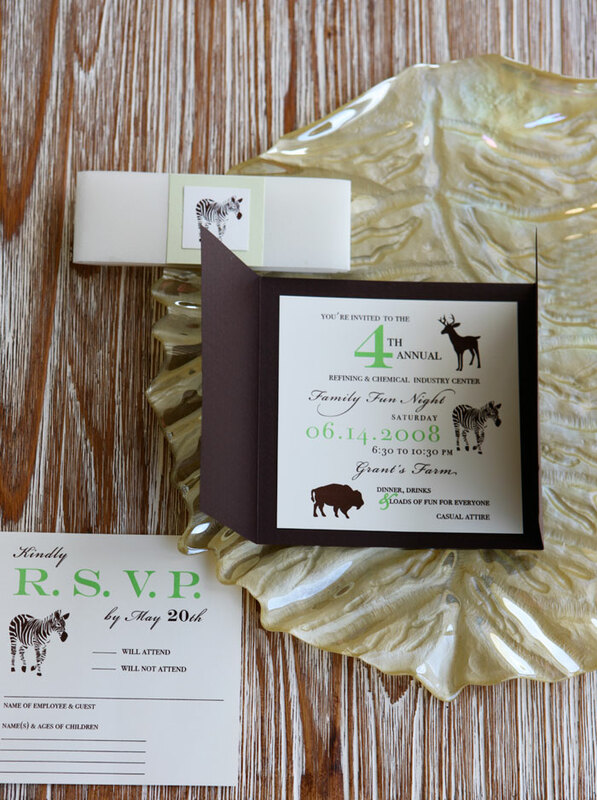 Some brides see invitations as an item which will eventually be discarded by the receiver; others see it as one of the most important first impressions of any event ; and still others value it as a lasting token of the big day. To inspire you, below are some beautiful invitation for retail events, weddings, and parties designed by Slice of Lime Designs. 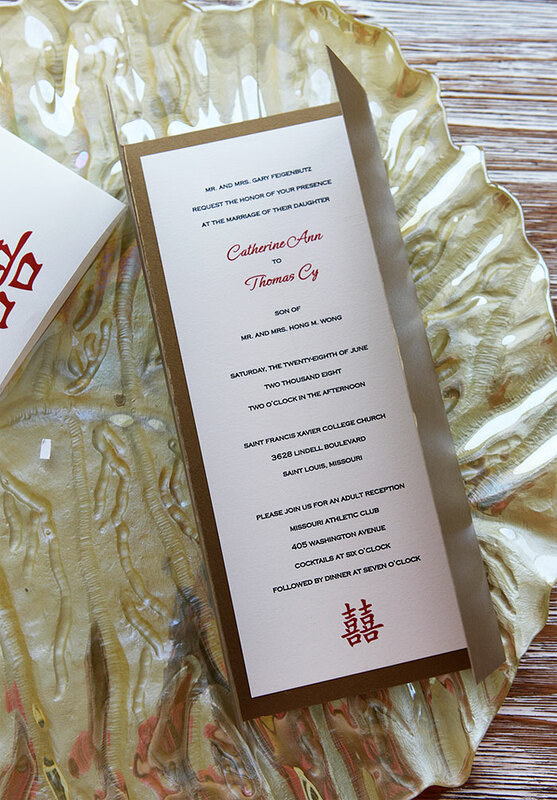 A vellum wrap slides off to reveal a beautiful Asian themed tri-fold invitation. 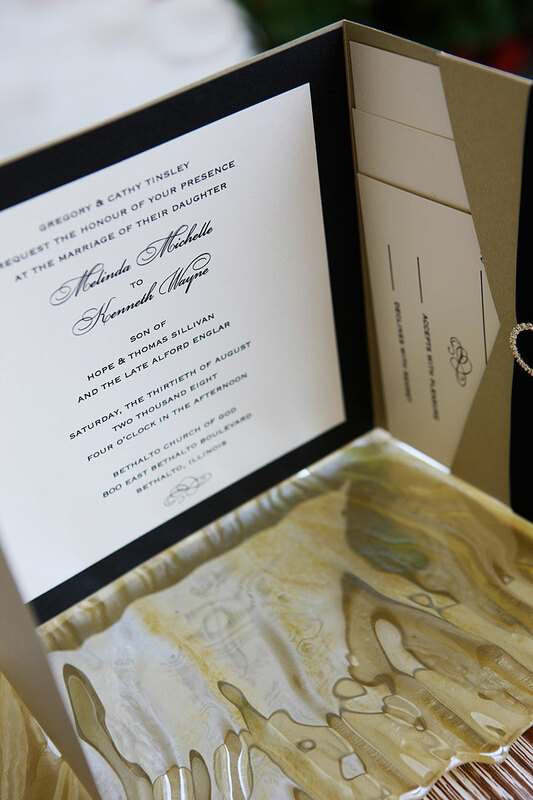 A spectacular formal invitation with many design elements, including an envelope insert and a monogrammed wrap to hold the invitation in place. When opened, the bi-fold invitation reveals double-satin ribbon and multiple layers of invitation pieces. A tri-fold square gala invitation with illustrations and bold colors. 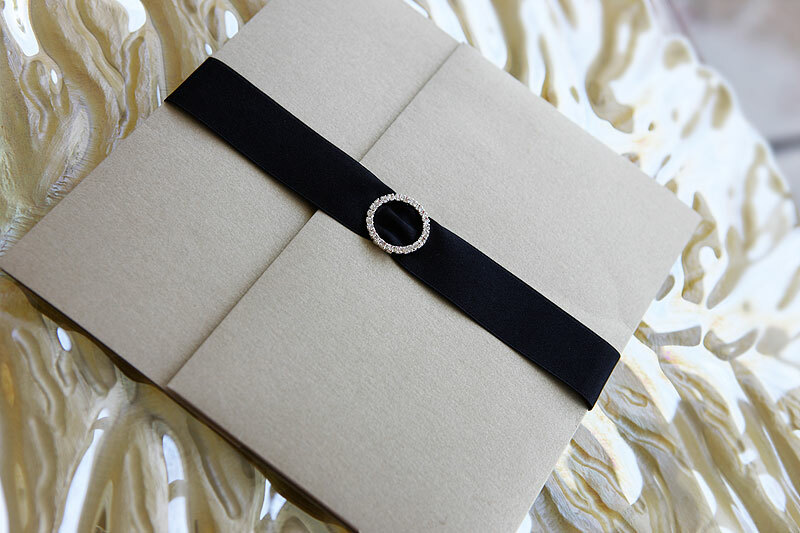 A gorgeous wedding invitation tied with a velvet ribbon and finished off with a diamond buckle. 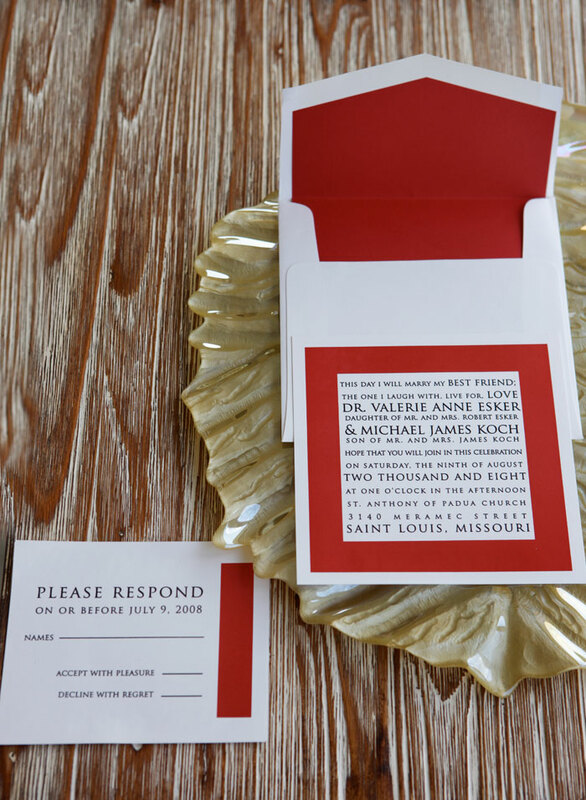 A simple yet bold wedding invitation that incorporates the color “red” for impact! 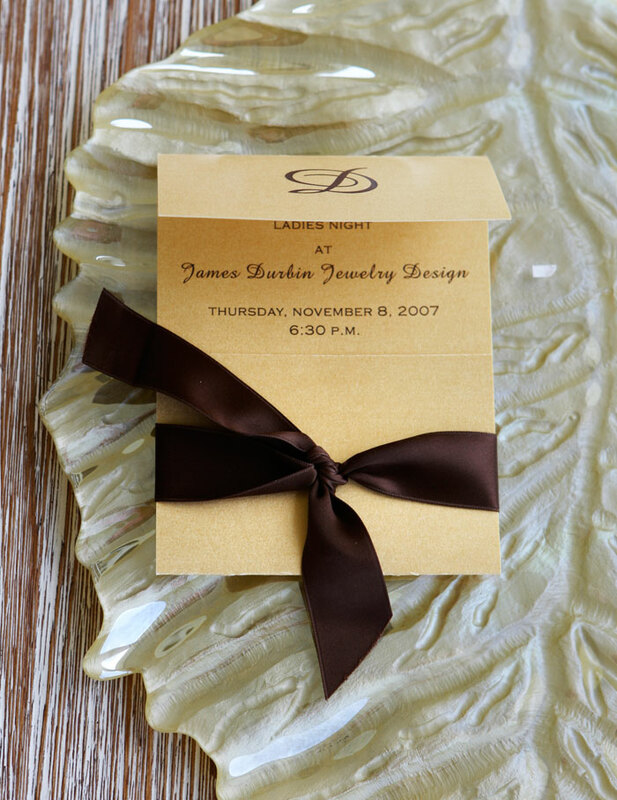 A bi-fold retail special event invitation with simple yet elegant touches.